← How to stop the indifference epidemic? 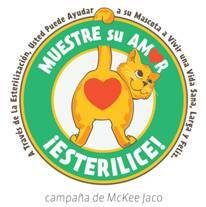 For the last 11 years we have continuously offered our spay-neuter campaign to the people of Garabito county, providing low-cost castrations to all those who cannot afford the regular price, explaining why responsible pet owners have their pets spayed / neutered, doing our best to collect the stray animales in order to proceed with the surgery, and also making sure that not one puppy or kitten goes to their new home without first being fixed. Every year we are able to provide over 800 low-cost or free surgeries, and for such a small organization working within only one county, it is a great number indeed. Within the overall message of our education program, we make sure that the youngest members of our community understand the overpopulation problem, and are aware of the only solution to it. This year we decided to extend our campaign to the streets, installing attractive and appealing signs at various locations where people pass and/or congregate. In March we installed 14 signs, and almost immediately we began receiving incredibly positive feedback. People on the streets approach us, praising both the idea of spreading the message this unusual way, as well as the 2 different designs we used. We would like to be able to produce 14 more signs and install them at the southern end of Jaco and also in Herradura. If you would like to sponsor one or more of these wonderful signs, please let us know. The price is $60 per unit, and the size is 70 x 70 cm. Another successful educational activity by MCKEE JACO has been running since the end of February at the little school in Jaco-Pueblo Nuevo. It’s a part of our education program entitled “SHARING THE WORLD WITH THE ANIMALS”, developed in 2009 by CYNTHIA LIZANO, later improved by ANGELA MARIA LOZANO. 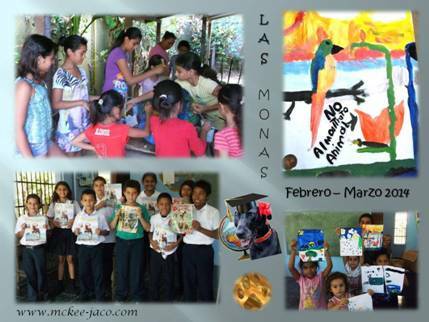 During these activities the kids work on many different art works that illustrate all animal rights, finishing with a large (1 meter high) sculpture of a parrot, an animal chosen as a symbol of all wild life animals which are so often captured, only to end up living a miserable life in captivity in Costa Rican homes. This sculpture, together with a big sign saying “Let me be free” will be put in the patio of the school. It is very important to organize this activity in exactly this area, one who’s residents are famous for robbing the nests and selling the parrot and macaw chicks on the black market. Thank you to LINDA LOOK from the USA for sponsoring this great activity and to ANGELA MARIA LOZANO for her excellent job working with the kids. During the course of our “I brake for animals” project, we were finally able to find sponsors and produce 3 new signs at the entrance to and around the Refugio de Vida Silvestre Punta Mala – a “death trap” which claims the lives of various wild animals every single day. In order for the signs to be easily noticeable, they are 2 meters high and 1 meter wide and they are made using reflective materials, making them clearly visible both day and night. Thank you to all sponsors of these so very necessary signs: Dave & Jessica of Jaco, Denise Bishko @ Supersol – Esterillos, Fellow Animals – Esterillos, Restaurant Los Almendros – Esterillos, Tecni Hogar Parrita and Variedades El Amigo – Parrita. Together with these three, we’ve now got 7 big signs installed on the highway in places with extremely high traffic and mortality of our wildlife animals. And 14 medium sized signs on the streets in Jaco, Herradura and Tarcoles. Also our mission to have our sticker “Yo freno por los animales” (“I brake for animals”) on each car in Costa Rica is ongoing! If you are an animal lover and don’t have a sticker yet, please order one now and join us in achieving our goal to create more awareness and reduce the number of injured and killed animals on the roads. 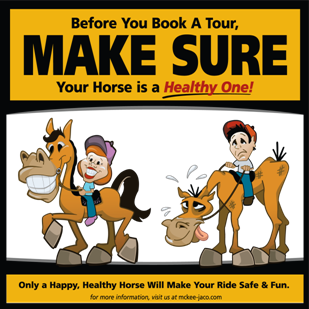 The attractive, fun design of the sticker also looks great on any other moving vehicle, so make sure to pass it on to non-car owners too! They cost only 500 colones each, and are available in black and yellow. Contact us to place an order, or purchase them at: Veterinaria Plaza Boulevard, Veterinaria Dra. Wendy Villalobos, Farmacia Sofia or Seguridad Total Pacifico. Nominations may come from any community member. Please read the nomination guidelines before filling out the form. Les escribo para solicitarles permiso de emplear su imagen de la campaña “Yo freno por los animales” en mi barrio y posteriormente TAL VES en mi ciudad, para recolectar fondos para esta concientizacion de tener cuidado en las carreteras y otras problemáticas como la “mascotizacion” de fauna silvestre. No soy aun una fundación o coorporacion, pero, quisiera comenzar a difundir diferentes campañas de concientizacion por el respeto y proteccion hacia la fauna silvestre. Hace algún tiempo fui voluntaria como madre sustituta de micos aulladores, pero creo mas util dedicarme a concienciar…. ¡Mil gracias! Hola Natalia, gracias por su comentario. Claro que puede usar todos los diseños y artes en sus campañas. Si quiere le mando el arte original en diferentes colores para las calcas, los dos diseños para las camisetas y los otros dos para rótulos en las calles y en las carreteras. Puede comenzar con las calcas y buscar patrocinadores para los rótulos y las camisetas. Mandame un mensaje a correo electrónico info@mckee-jaco.com para poder enviarle los diseños.